Ready for a California Vacation? AND, Enjoy Personlized Service from a California Vacation Expert at no added cost! Simply fill out this form or call us at 1-855-879-8309 to speak to a vacation planner now. Sunny California is everything you've imagined and more with pristine weather year-round, landmark attractions such as Disneyland, the Golden Gate Bridge, the Hollywood Hills, amazing art scenes, diverse cuisine, and so much more. 'The Golden State' offers all-inclusive resorts in the most ideal California destinations up and down the Pacific coast. Whether you're looking to enjoy In-N-Out Burger by the beach or sample some of the world's best vintage wine in Sonoma or Napa County, you're sure to enjoy the splendors of a California resort vacation! 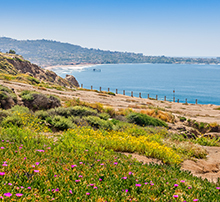 Known for year-round warmth, San Diego is the perfect place to escape to if you live in a cold-weather destination. The San Diego Zoo and Safari Park is a must visit, along with the Gaslamp District and Balboa Park. San Diego also boasts some of the best beers in America, with microbreweries all over the city. the best beaches for surfing lessons! 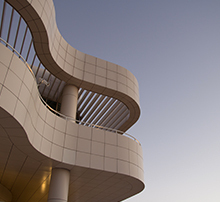 Visit this metropolis filled with diverse dining options from sushi to taco trucks, rooftop pools overlooking the city, nearby hiking trails, and many other fabulous things to do. Walk the Hollywood Walk-of-Fame, catch a Lakers game, or enjoy the splendors offered at your all-inclusive resort in utter relaxation. the best upcoming shows at the Hollywood Bowl! One of the most renowned cities in the world, San Francisco lives up to the hype. 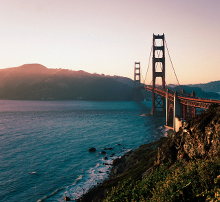 You'll see beautifully scenic cityscapes with unique neighborhoods that roll up and down with the hills, plus epic farmer markets, Golden Gate Park, Fisherman's Wharf where you'll find delicious clam chowder, and much more! the views from Twin Peaks! 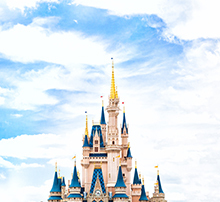 Home to Disneyland and Disney California Adventure, you can plan an entire vacation around these legendary theme parks. Bring the family for a fun escape from the stresses of everyday life. Anaheim visitors will love the revitalized Packing District where there are tons of restaurants and great shopping! the Anaheim Packing House and their PopBar!